Today we introduce the Main Methods of Testing E-cap Lifetime. For above test, we have exact equipment for testing, after testing, the real test data can prove the product of real lifetime. Put the capacitors in the oven, the temperature raise 10 degrees (for example: if the capacitors' oringinal temperature is 105 ℃, it needs rise to 115 ℃). let current go through (should be the capacitor's current), then the capacitors' lifetime will decay half. (it means, 3000 Hours becomes 1500 hours), after testing 63 days, will take out capacitors and see if it can still work or not. 2, The positive foil, or the anode foil are all made from pure aluminium foil. The aluminium oxide dielectric has been formed electrolytically on the surface..
3, The foil has been etched to make the effective surface area more larger, and the area of the anode is usually 30–100 times larger than the plan area of the foil. 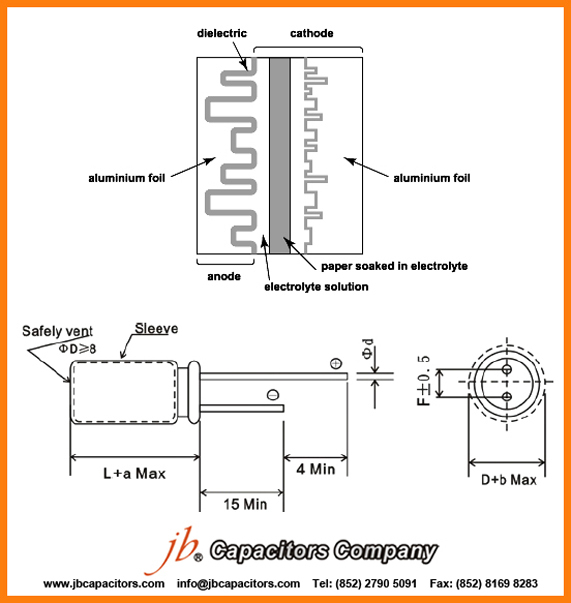 Figure: How dielectric structure works in an Aluminium Electrolytic Capacitor ? 4, The other plate is a combination of high-absorption paper impregnated with an electrolyte, in contact with a cathode foil. 5, The electrolyte is there to make good contact with the anode, by permeating its etched structure, and also to repair any flaws in the oxide layer when the capacitor is polarised. 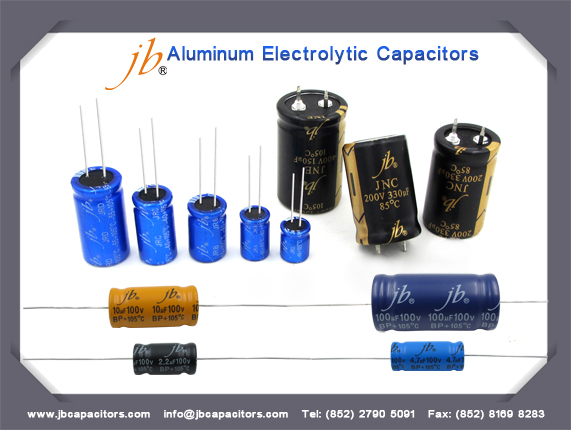 6, The function of the aluminium cathode foil is to reduce the series resistance of the capacitor by making contact with the paper over a wide area. 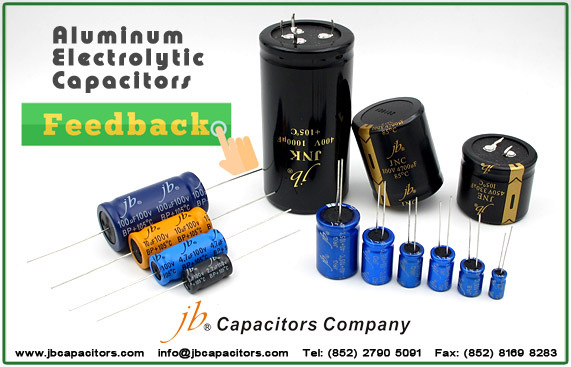 We welcome you to order our jb Aluminium Electrolytic Capacitors and anatomy it, if you want to have a more clear understanding of them. Do it yourself will be more fun and meaningful. A photoflash capacitor is an electrolytic capacitor used in flash cameras, professional flashes, and also in solid-state laser power supplies. Their usual purpose is to briefly power a high-voltage flash tube, used to illuminate a photographic subject or optically pump a laser rod. As flash tubes require very high current for a very short time to operate, photoflash capacitors are designed to supply high discharge current pulses without excessive internal heating. 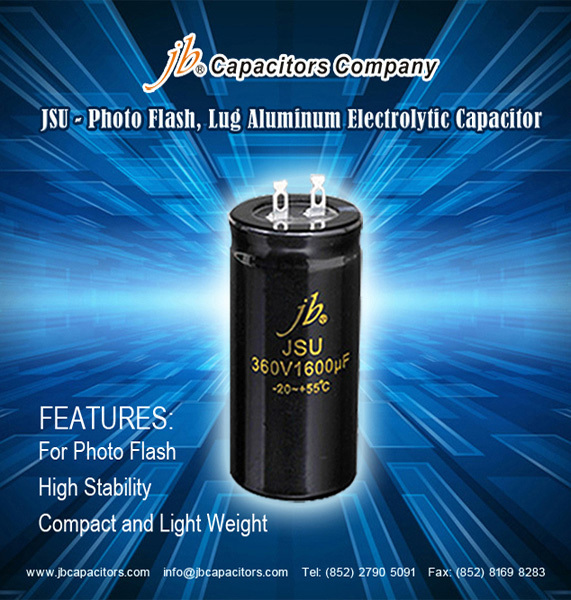 jb capacitors company is very strong on Aluminum electrolytic capacitors, including snap-in, screw type and lug type. 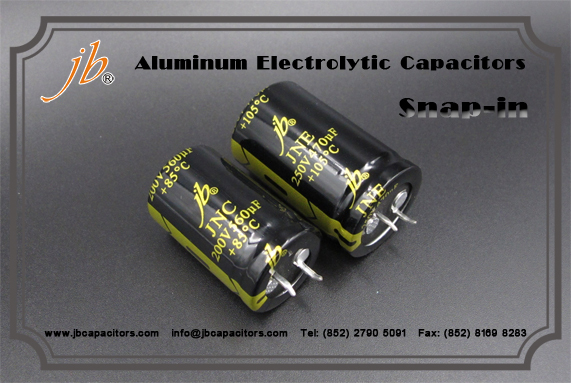 Snap-in Aluminum Electrolytic Capacitors is widely used on power supply. If the end product is industrial motor, some customer may requires to add a mica sheet of plastic layer or other non-flammable material between the Aluminum electrolytic body and PCB. As we know, the motor has vibrations, and it keeps running 24 hours, so that the capacitor will be very hot. The piece of plastic layer is used as insulation to prevent the capacitor from shorting itself.